Yerba Mate, also known as Mate, was introduced to modern civilization by the Guarani Indians of Paraguay and Argentina. Mate is an invigorator of mind and body, a natural source of nutrition, and a health promoter par excellence. It has vitamins and mineral contents. As an excellent food supplement, the content of EGCG will protect the DNA in the normal cells against the attack from free radical and causing the growth of bacteria and viruses. Thus, the content of anti cancer properties will helps to control the cancer cell growth. 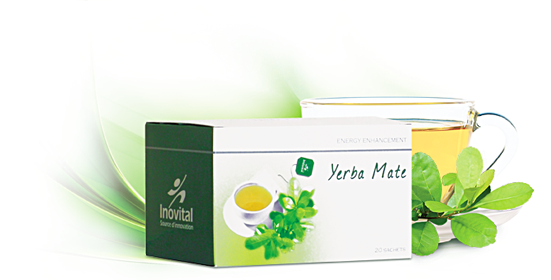 Yerba Mate helps to enhance digestive system, reduce blood pressure, improve heart function, strengthen the body immune system, releases pressure and reduces symptom of fatigue. Minerals: Riboflavin, nicotinic acid, pantothenic acid, biotin, magnesium, calcium, iron, sodium, potassium, manganese, silicone, phosphates, sulphur, hydrochloric acid, chlorophyll, choline and inositol. Steep 1 sachet in a cup of hot water (80°C) for several minutes and drink as much as desired.